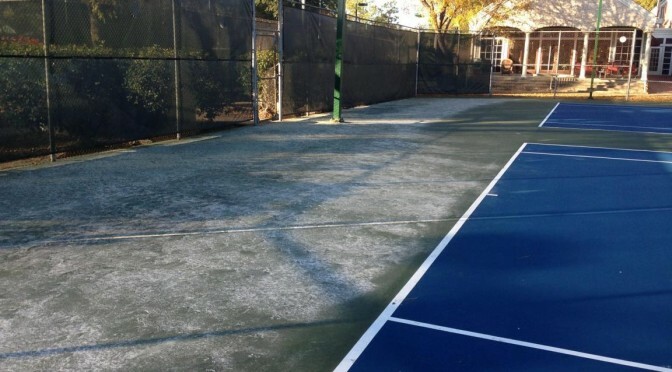 One of the most understood topics and frequently asked questions are, “what is the difference between drying and curing” when it comes to tennis court paint and coatings. Acrylic sport coatings are water-based, and latex is the binder or “glue” that adheres to the pavement or existing acrylic surface. The binder also locks in all of the components of the coating system, like pigments, sand, and other proprietary ingredients. 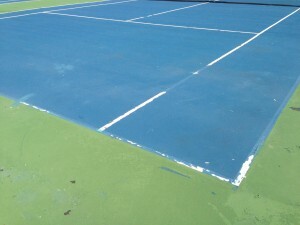 Water is the vehicle that thins the coating solids so that application by squeegee can be achieved. Once the coating is applied, the water evaporates leaving the solids of the coating in a consistent film. This evaporation is “drying“. At this point, the film solids are dry. They can even be walked on without a problem. However, all of the components of the coating are not entirely connected and bonded in a strong film. In order for the coating components to properly coalesce, or “melt” together, it is important that the film remain mostly dry and in temperatures above 50° Fahrenheit. This is especially important within the first 24 hours. This is “curing“. If the coating is not allowed to achieve this initial cure, the components like sand and pigment can wash or roll out the film can fall apart to varying degrees. The level of damage or failure depends on how marginal the cure. Many coating and paint specifications include the statement “product shall be applied when temperatures are 50° and rising”. This means start coating in the morning when the temperatures are at least 50° and getting warmer, not late afternoon or evening when temps are dropping. Remember, the coating must dry before it can begin to cure. Starting application late in the day puts the film at risk of dew and cooler nighttime temperatures. A good rule of thumb is to avoid acrylic paint and coating application on days when the nighttime lows are forecasted to drop below 50°. If the daytime highs are not very warm and it is cloudy, or the courts are heavily shaded, you also need to take that into consideration. 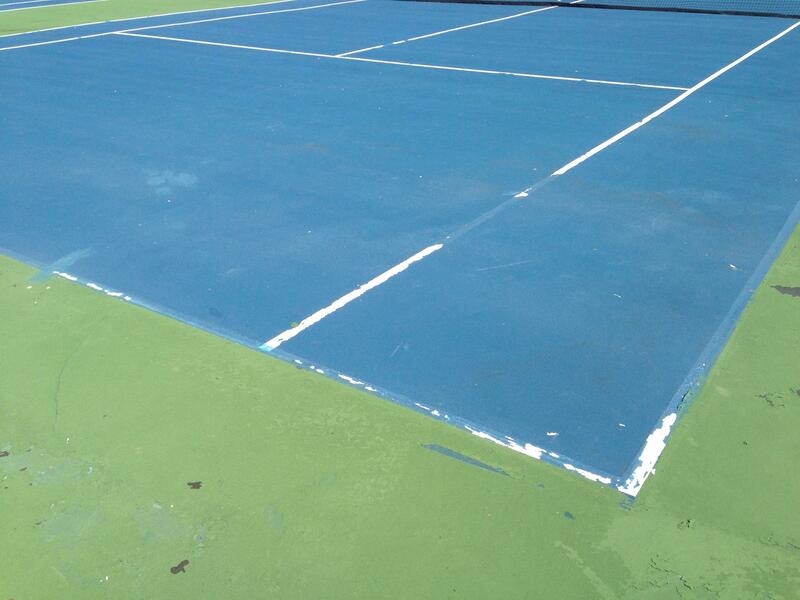 The shade will increase the drying time and affect the temperature of the court surface. These factors affect drying and curing. If you are forced to push the application on marginal days, you may want to use an infrared thermometer to check the surface temperature. Pavement absorbs and holds cold for longer than most people think. In Spring and Fall, the sun is further away and not as intense. The pavement surface isn’t able to warm up as quickly as it does in the summer. If you are a contractor and your customer is pushing you to apply when the temperature and weather is not within acceptable range, make sure to provide them with a copy of the coating manufacturer’s specifications and ask to reschedule application when conditions allow.